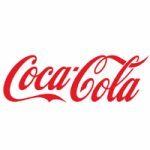 Coca-Cola Kwanza Limited is part of the only anchor bottler in Africa, (Coca-Cola Beverages Africa) in the Coca-Cola Company' s global franchise system. As a multinational company dealing in fast moving consumer products, we strive to maintain world class standards in every aspect of our business. In addition, we are also committed to train and develop Tanzanian citizens, and to this end we require the services of high caliber Tanzanians to provide a leading edge to our business. CCK Tanzania requires the services of an Area Sales Manager to oversee its territories. The incumbent will directly report to the respective Regional Sales Manager. Rigorous execution in each outlet against picture of success/ Right Execution Daily (RED) standards. Perfect adherence to routines and processes. Merchandising. Builds strong relationships with each customer based on Ability to understand and support & group their business. Strong interpersonal skills. Ambassador of our company and brands. Captures every possible sale to meet and exceed daily, weekly & monthly targets. Generates orders. Identifies and realizes sales opportunities. Identifies and acts against competitor activity. A minimum of a degree in Marketing, Business Administration, Economics or any other related field, excellent communication skills in English and Swahili, planning, organizing and controlling, leadership and project, management skills, problem solving (sales & marketing), customer focus, numerical skills (financial), assertiveness, time management, be able to work within a team and demonstrate high integrity and honesty work ethics. Must know how to drive a car and have a relevant driving license (Attach a copy). At least 3 years working experience in FMCG industry. Dar es Salaam. OR Email mhalla@tz.ccsabco.com by no later than 9th October, 2017.